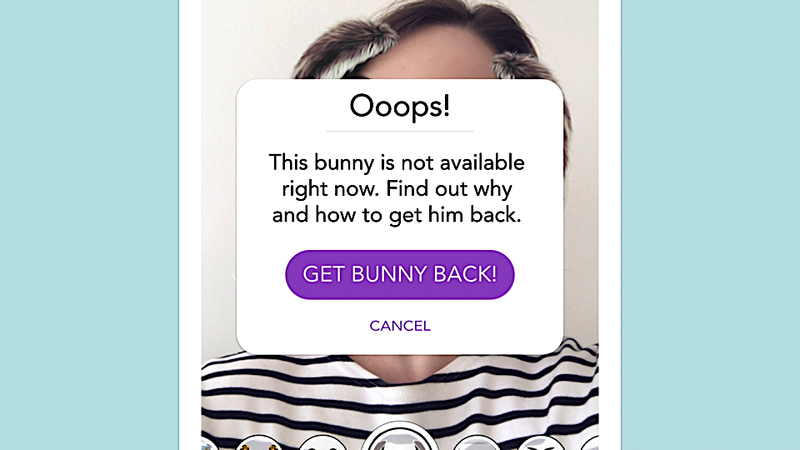 Violette van den Berg is half French half Dutch, she is a student aspiring to become creative strategist and is currently studying Branding at the Amsterdam Fashion Institute. 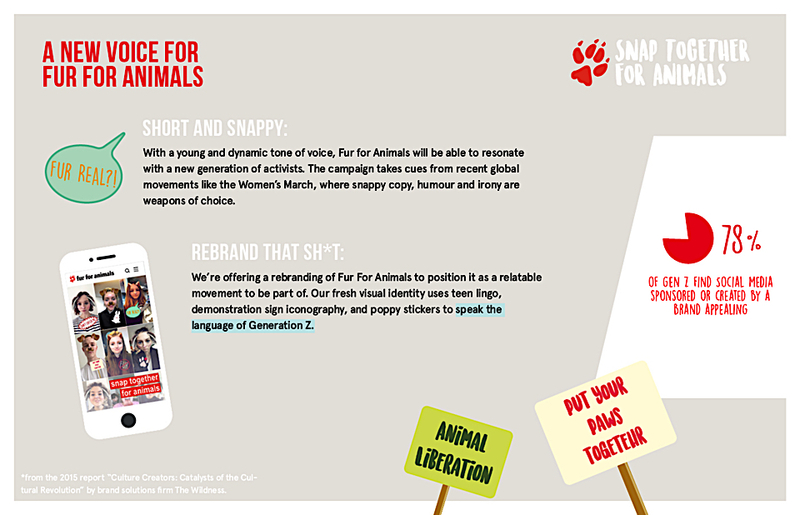 With Aron Meier who is also a 3rd year Branding student they are the winners of the 2017 ‘New Blood’ award at D&AD (Global Association for Creative Advertising & Design Awards) with a campaign for the NGO brand and anti- fur organization – ‘Respect for Animals’. 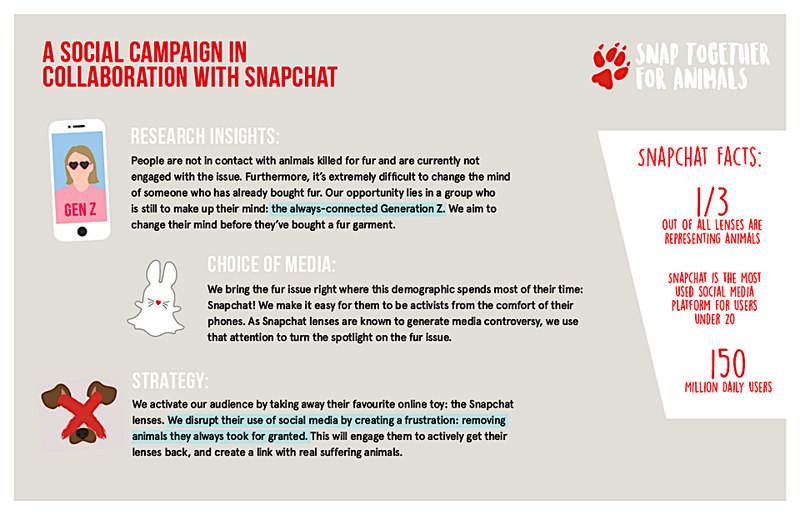 The team want change people minds by creating a contemporary campaign against the use of fur. 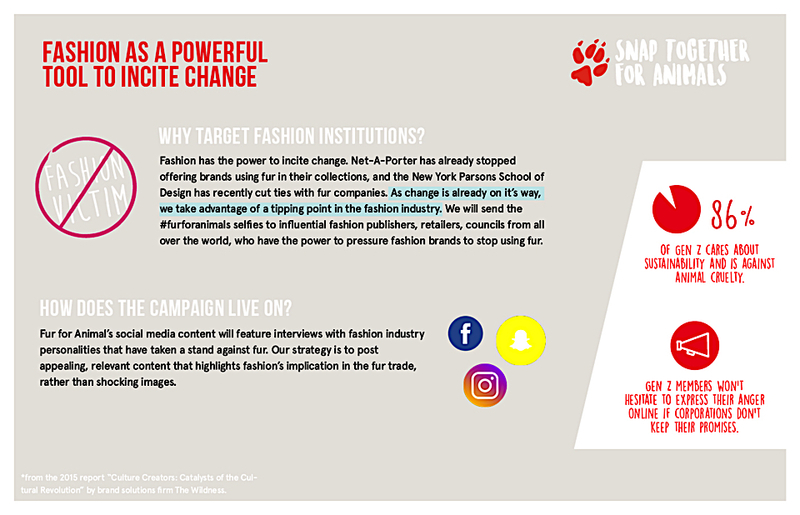 “We choose this brief (out of 16 options) as it was the most linked to fashion – meaning we could have a relevant perspective in comparison to other candidates. 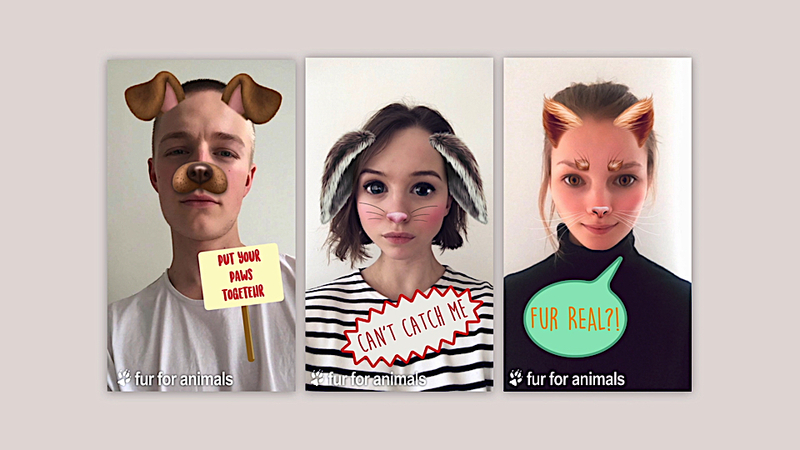 As fashion has a long history with fur, we thought it would be interesting for us to tap into that subject and explore why people wear fur.” says Aron. 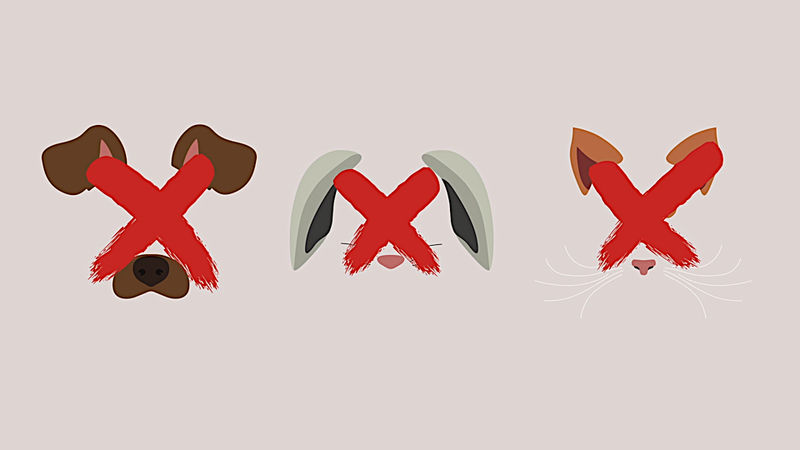 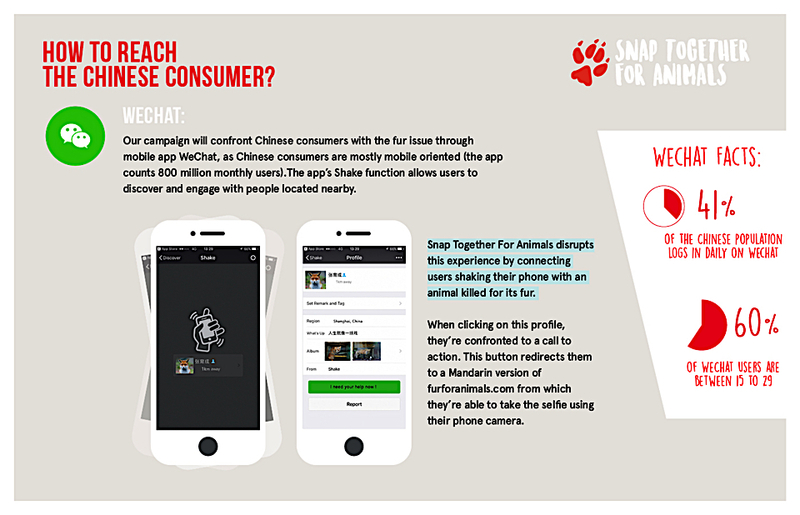 Snap Together for Animals is a campaign aiming to put fur back in the conversation by disrupting users’ daily experience of social media (such as Snapchat and Wechat). 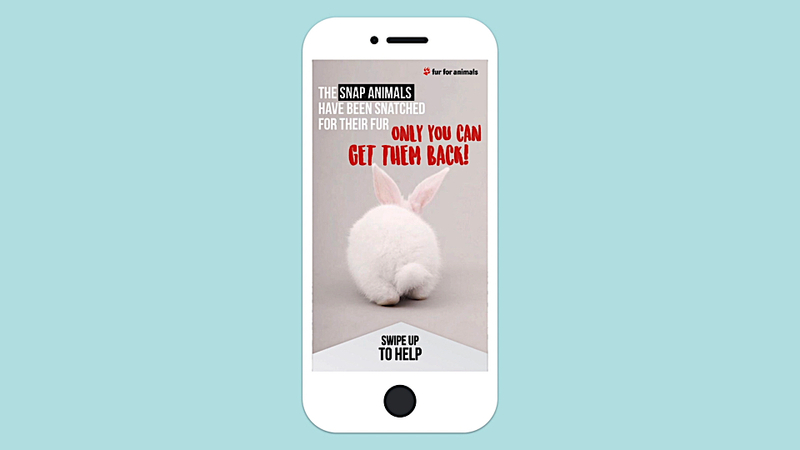 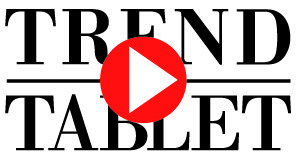 Violette and Aron remove digital representations of animals, like the Snapchat lenses, to show the young generation that real animals are in urgent need of their help.